An awesome place to visit with friends and have a great time over drinks. 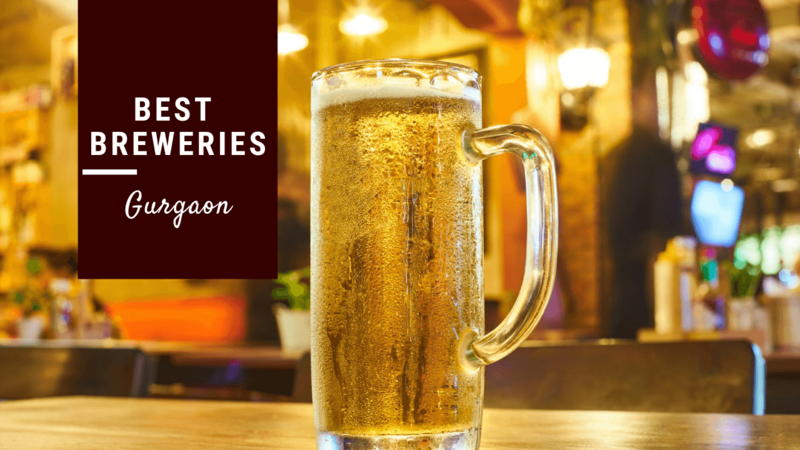 It is a microbrewery that promises a great experience and one can also savour authentic Italian, Chinese and American dishes that get one's mouth watering as soon as you inhale the beautiful aroma wafting from the kitchen. It has an elegant decor and a cool ambience and one can also watch the live sports screening here. Recommended - Kung Pao Chicken, Chicken Malai Tikka, Mutton Roganjosh, Wheat Beer. Does the crew here do something special if its your birthday? Did you have to wait to get yourself a table here today? I had a great time at Quaff, the service was prompt and the food was great. The staff was very courteous and friendly. It's a must-visit place and would definitely make it to your weekend chilling spots. Quaff Microbrewery is the best place to chill out on a fine weekend and enjoy the different fusions of beer curated by the QM team. The staff is quite courteous and the manager is also helpful and kind. This microbrewery had the look and feel of a proper pub – the experience was authentic at night. They offered American, Italian and Chinese cuisines and a diverse bar menu. Favourites included Wheat Beer and Kung Pao Chicken. Quality service, music and the dim light decor made our evening. This is one of the finest breweries in Delhi/NCR serving international cuisines like American, Italian, etc. The staff was courteous and the service was prompt. The ambiance was amazing with good décor. Ordered pizzas and freshly brewed beer which tasted amazing and it was value for money.